Had an amazing experience with Vanessa. She went above and beyond. Christine Fletcher was very helpful in the house buying process. Day or night she was always available to help us and to answer any questions we had. Even after we closed on the home and her job was done she was still there to help us with the new house and getting into the community. I highly recommend Christine. She will guide you through the process of buying a home and will do it with a smile the whole time. Vanessa was an awesome, she agent really put in alot of work and running to make sure we got the house we wanted. It was a all are great experience working with her and this company on their end of things. I would highly recommend this company if you are looking to buy or sale a home.. Absolutely loved working with Christine Fletcher! 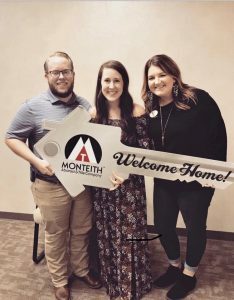 She was great and definitely made the home buying experience a lot better! Jennifer has helped me with several real estate transactions, including buying, selling, and rental property. While friendly and personable, I have always found her extremely professional. She’s extremely knowledgeable and keeps in constant communication. Overall an excellent realtor. 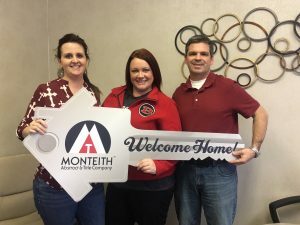 My husband and I bought our first home with Jennifer and she made the process smooth and easy. She was always available when we needed her and prompt to answer any questions we had. I’d recommend her to anyone looking for a home. We have worked with Jennifer on several occasions and she is both knowledgeable and professional. She returns calls and emails promptly. We will definitely be using her again in the future. Jennifer is an awesome agent. A year ago she helped us find and purchase our Temple Texas home. She was patient, understanding, and knowledgeable of the areas we were looking at. Making great suggestions about neighborhoods and helping to negotiate a great purchase price on our home. If you are looking to sell, purchase, or rent, pick up the phone and call Jennifer first. We promise you will not be disappointed. Jennifer is great to work with, knows the market and is very helpful with the home selling process. 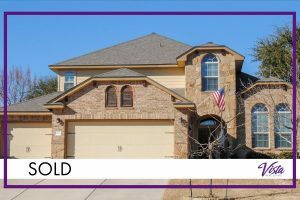 I would highly recommend her if you are considering selling a house in belton or temple. 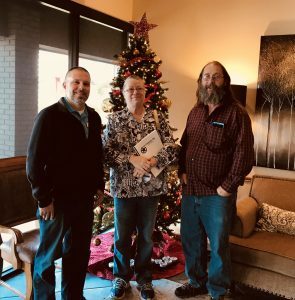 This is our fifth buying/selling experience with Jennifer, and we will use her again for the the sale of our current property. We have an abnormal work schedule and Jennifer was always quick to respond and always willing to work around our schedules. 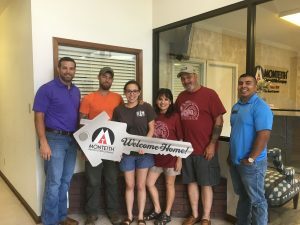 This is our first experience in building a home and Jennifer was with us every step of the way, using her knowledge and her experience to ease the process. We will use Jennifer again and we pass on her information to anyone looking in the area. Jennifer was the ultimate professional. Proactive and thorough, as well as her solid realty acumen are reasons Jennifer stands out from the rest! After my home had been listed by another agent and on the market for over NINE MONTHS, I decided to change realtors. 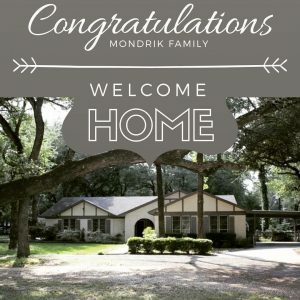 I chose Jennifer and within ONE WEEK, I received an offer on my home – a CASH OFFER! We closed three weeks later. Awesome job! I would HIGHLY RECOMMEND JENNIFER BRUNS!! Christine set up 2 days for just me to look at houses since I was traveling from Colorado to Texas. I felt like her number one priority while we had one on one house hunting, she gave my 3 children the same. Very respectful and will be my go to realtor in Texas for sure! Thank you! 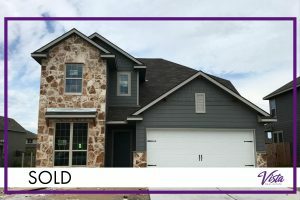 We just went through the process of selling our home and buying a new one. 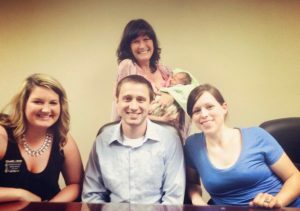 When we began, we expected tons of stress and a few hiccups along the way, however, that wasn’t the case with Stephen. His organization and professionalism made the process seamless and smooth. He got our house under contract in 2 days and worked his tail off to get us closed on both homes in under a month! I highly recommend him to anyone looking to buy or sell a home! Amanda is an amazing realtor. She is very personable as well as patient. Seriously she did so much for us and went the extra mile. 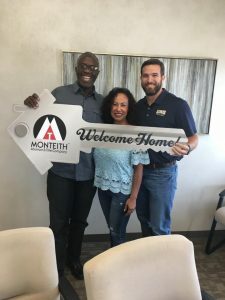 She made my husband’s and I’s first time home buying experience amazing. I definitely recommend her time infinity. Seriously she’s our first realtor experience ever but I seriously think you can’t get any better than her. Thank you for everything Amanda. You’re amazing! We can’t speak highly enough for our experience with Jeremy Ellis. 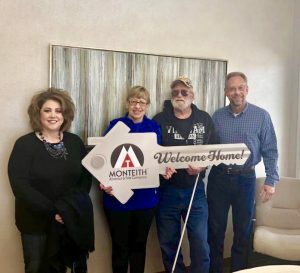 We were first-time homebuyers, from day 1, he was always accessible and willing to make a variety of suggestions and options as we tried to. We feel we have a trustworthy agent, as well a friend. Thanks Jeremy!! As a first time home buyer, I was a little scared and uneducated about buying a home. Originally, I had a different realtor and wasn’t satisfied or feeling any better about buying. I found Stephen on Facebook and he immediately contacted me eager to help. It didn’t take long for him to help me find my perfect home. He answered all questions I had. Really made me feel a lot more comfortable and confident with the whole home buying process. He’s the best. 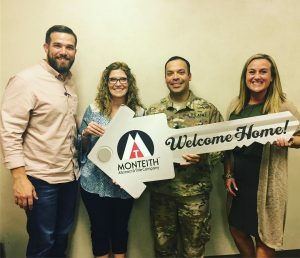 Absolutely the best home buying experience ever! And absolutely loved Christine, she made the whole process great. Huge thank you Christine!! Jason Hancock has been a life long friend of mine. Because of this friendship, I have always referred people I knew wanting to purchase or sell a home to him. Then, when I wanted to sell my home and buy a new one at the beginning of this year, I immediately contacted Jason. 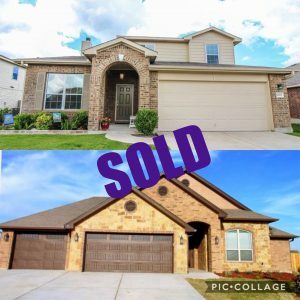 Jason made selling my home and finding my new home effortless! When questions arose, Jason would immediately address the situation. Jason was professional and confident. Now when I refer new clients to Jason, I am referring them not only because he’s a friend but most importantly, he is a wonderful realtor. Billy Bob was amazing!! He helped make this process easier and stress free. He was always available to answer any questions. He went above and beyond to make sure things got done on time for a quick close. He is honest and very kind. We loved working with Billy Bob and would recommend him to anyone!! I couldn’t have entrusted our first home buying experience to a more honest and understanding realtor than Jeremy. He went above and beyond for us, was always on top of things and made sure all my questions were answered. I would like to say that during this experience is was more of a friendship than a business deal. I could not recommend him without saying you will be treated like family. 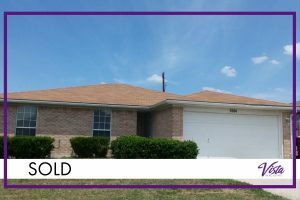 Buyer | Killeen | $87,900 | Brittany T.
Paul was essential to our home buying process! He was always there for us when we had questions from the different homes to how the closing process works! Paul is very professional and knowledgeable on the home buying process! 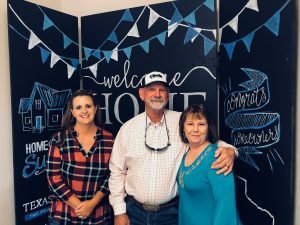 He is amazing and the best realtor out there in the central Texas area! 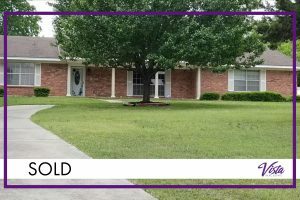 Seller | Temple | $182,500 | Anthony G.
Jimmy was very good at fielding all of our questions and expectations. He walked us through the entire process and got us closed within a couple of weeks of the final offer being made. 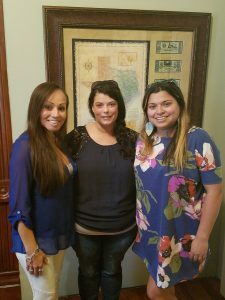 You can’t pick a better realtor or agency in the Central Texas area. 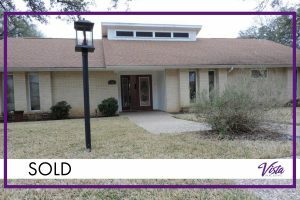 Buyer | Belton | $210,000 | Norman & Margaret L.
Christine is a wonderful agent to work with. 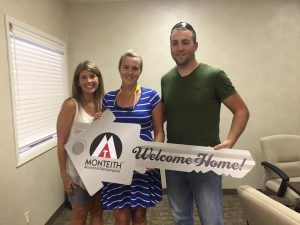 She was very helpful and knowledgeable in helping us find and purchase a home as we were from out of town. She made the whole experience less stressful and was in contact with us each step of the way. We can highly recommend her to anyone searching for a home or real estate. 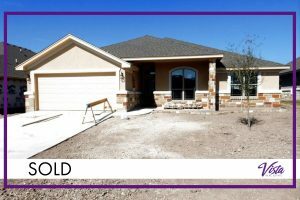 Buyer | Killeen | $87,000 | Kathleen O. Buyer | Temple | $150,000 | Clint & Sue S.
We found Christine to be available, prompt, courteous, professional, hones, experienced, and a joy with whom to work. We would recommend her, highly. 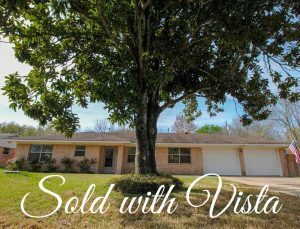 Buyer | Temple | $224,600 | Kathi H.
Seller | Belton | $186,000 | Cy L.
Too often agents will “list” your property but not actually “sell” it. In my case, Maria was actively working to sell my property. She is the agent we all hope to find, and she ranks far above the 5-star ratings. She knows her business well and provides the professional experience that will have you feeling comfortable in knowing she is on top of it. Maria is courteous and extremely responsive in her communication which can be critical especially these days. I can’t say enough about her dedication to me as a client and I would definitely seek to work with her again in the future. Buyer | Kempner | $247,995 | Bunni C.
Wendy is amazing! She went above and beyond to meet all of our needs, and always with kindness and a smile! Such a wonderful experience! We will definitely encourage anyone to choose her as their realtor because she quickly becomes a friend! Seller/Buyer | Temple | $160,000/$363,180 | Matt & Kaylie S.
I wanted to take a quick minute to thank our real estate agent, @stephenmortonhomes , for all of his help along the way. * To say that he made the process easy would be an understatement. He sold our old house before it was even listed. He told us out of the blue one morning that he had someone interested in purchasing our home. An hour and a half later, he had us a full-price offer. We were in shock! It’s not supposed to be that easy. He also stood by us through the entire build of our new home and brought so much value to the table. * We could not have asked for a better experience and we owe a lot of that to Stephen. If any of you are thinking of buying, building, or selling; consider asking Stephen for his help. You won’t regret it! 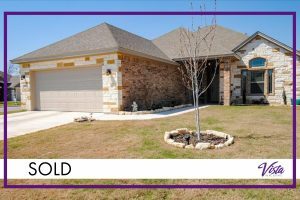 Buyer | Belton | $315,330 | Roger & Christy M.
Stephen is an outstanding realtor. More importantly, he is trustworthy, and laser-focused on representing the interests of his clients. 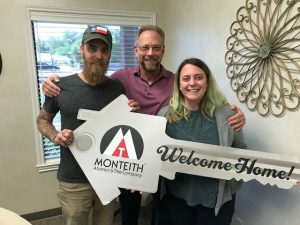 Stephen guided me and my wife through the home building process to ensure we got exactly the house we wanted. 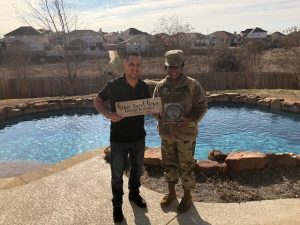 I’m in the Army and I deployed in the middle of the home buying process. Stephen went above and beyond by frequenting the construction site and sending us pictures as the construction progressed. 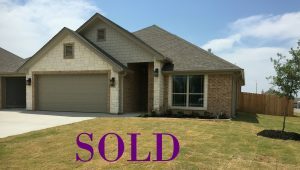 I DEFINITELY recommend Stephen to anyone looking to buy or sell a home in the Belton/Temple area. 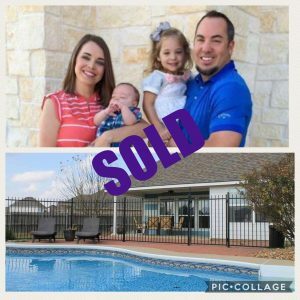 Seller/Buyer | Temple/Belton | $114,000/$215,000 | Erin S.
Maria helped us sell our home and found us the perfect house for our growing family! She was hones and open thru every step of both processes. I would refer her to anyone looking to sell or buy a new home. She’s fantastic at what she does! 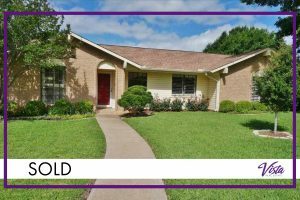 Buyer | Killeen | $253,000 | Esther S.
George and I have no regrets working with Jeremy. Very professional yet down to earth kinda guy. 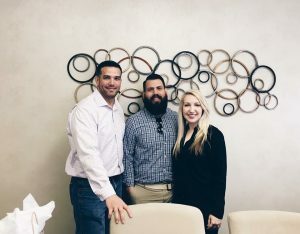 The home hunting became a bit overwhelming and frustrating for me but Jeremy remained very patient with me and my picky desires until we found the right home for us. He made the process as smooth as possible and communicated and checked in on with us often. Thanks for an awesome service Jeremy!!! 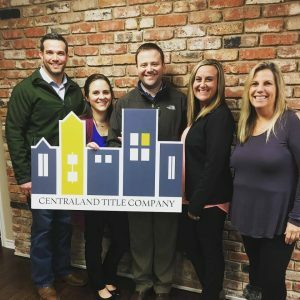 Buyer | Temple | $180,250 | Justin & Lydia B.
Stephen took care of us last summer when buying our very first home in Temple. He was so patient with us and was an excellent guide to the city. We would definitely recommend him to anyone, especially families with young children as he was a great resource having children of his own. 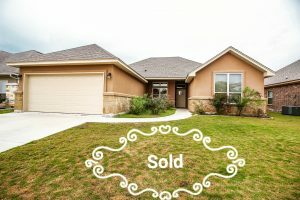 Buyer | Belton | $214,900 | Sohn & Angelica S.
Stephen is the best realtor in Texas. We looked at several house locations until we found the perfect house. 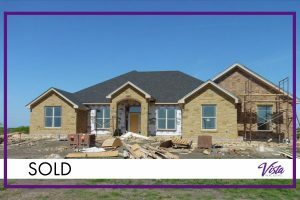 We had a bad experience with a builder and thought we would lose our earnest money, but he fought and got our money back and found us a better house in the sub division with more amenities. 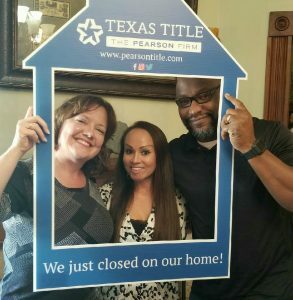 Thank you for all of your help with finding us our first house in Texas. 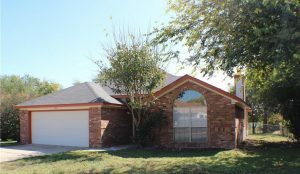 Seller/Buyer | Temple | $169,900/$261,500 | Bryan & Kesha Y. 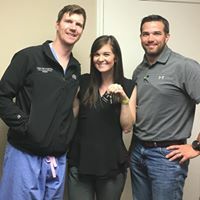 We were very blessed to work with Jason Hancock on the sale of our first home and the purchase of a new construction one. Having met by chance at our local parade of homes, we really lucked out. Jason is very knowledgeable, patient, and customer service friendly. He answered our questions in a very timely manner and made sure that every step in the process went smoothly. He was in close contact with our builder and kept us informed on the stages of our build. We highly recommend Jason as your next realtor. Seller | Temple | $207,000 | Joel & Erin R.
Heath did an amazing job helping us sell our home (in less than 2 weeks)!! He was very knowledgeable and available to answer any questions we had. I recommend Heath Haverland to help you buy or sell your next home! 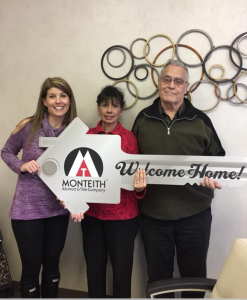 Buyer | Temple | $186,900 | Jeff & Rachel W.
Stephen made our home buying process so easy. He was always quick to respond to any questions we had. We definitely plan on using him in the future. Buyer/Seller | Temple | $285,000/$238,000 | Lynne S.
Amanda is AMAZING! She is very attentive to your needs and is always willing to go above and beyond. I highly recommend Amanda for all of your real estate needs! 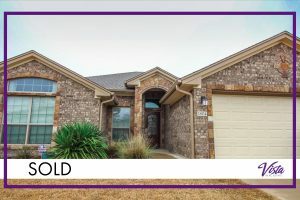 Buyer| Temple | $144,900 | Tina W.
My husband and I would highly recommend Jeremy Ellis. He was always helpful with whatever was needed. Responded to phone calls , emails , text right away. Very professional and polite. 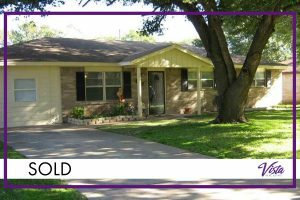 Buyer| Harker Heights | $173,500 | Larry & Cheryl K.
Our experience with Paul was excellent. He was very patient and kept our interests in mind as to what we were looking for. Highly recommend! Buyer/Seller | Temple | $145,000/$320,000 | Jim & Kimberly W.
We have known Stephen since Oct 2016! 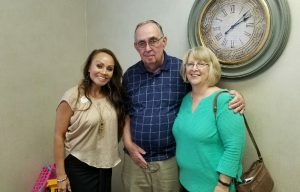 He was amazing with selling our old home and closing on the new. If you are looking for a realtor who is devoted, kind-hearted, knowledgeable and honest, look no further- Stephen is your guy! Thank you Stephen for going on this crazy adventure with us!! Buyer | Temple | $170,000 | Allison K.
We are officially homeowners!! 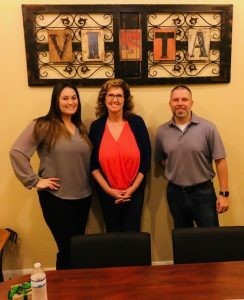 So thankful for Katlyn and the Vista Real Estate Staff for helping us find our perfect home! Can’t wait to start our future together in this beautiful home come January! 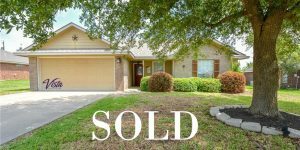 Buyer | Killeen | $111,400 | Erika A.
Jeremy is a wonderful agent. He helped me to find my first home and was available 24/7. He made himself available whenever it was convenient for me. He was on top of his work. If I had questions or concerns he would respond to me immediately. I would highly recommend him to anyone. Seller | Temple | $229,900 | Caleb & Jane D.
We are SO thankful for the hard work, diligence, and wisdom of our realtor Stephen Morton! He helped us, guided us, and lobbied for us every step of the way. 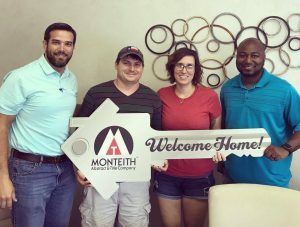 We couldn’t have been happier with his services or with the end result of the process (a full price offer, a smooth closing, etc.)! Stephen is smart, skilled, strategic, honest, dependable, caring, and well-connected. He went above and beyond in his communication, logistical assistance, and commitment to our cause. We would absolutely work with him again AND we would wholeheartedly recommend him to our friends! Thanks for everything, Stephen! 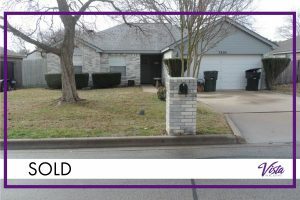 Seller/Buyer | Belton/Temple | $100,000/$167,500 | Kelly S.
Jimmy Torres makes sure all his customers come first!!! 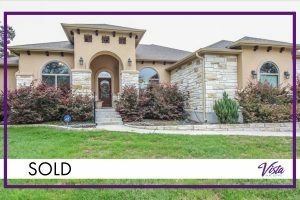 Buyer | Belton | $250,000 | Dawn M.
Our realtor Katlyn Volney was amazing! She was always available to answer questions or just help us with anything we asked. 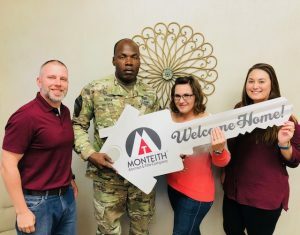 We could not have asked for a more professional realtor and just a terrific person to help us with our home purchase. Thank you! 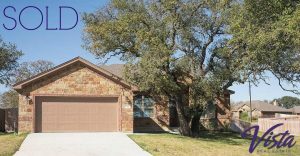 Seller/Buyer | Temple/Belton | $179,000/$350,000 | Cari B.
Maria has gone above & beyond the call of a realtor. She listens & knows what I want before I knew what I wanted. She is easy to reach & really stayed on top of everything to make this transaction a smooth one. She is a top notch professional in the real estate business! Use her! Seller | Temple | $115,000 | Linda W.
Maria is very professional and at the same time like someone you know well and can talk to. We enjoyed working with her and getting to know her. 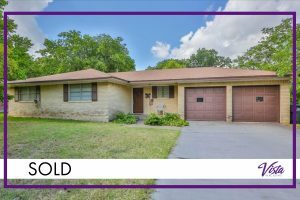 Buyer | Temple | $115,000 | Chrysta W.
My husband and I had been looking to purchase a home for a quite a while, but nothing ever lined up for it to happen. There was always something more that needed to be done for the loan process. 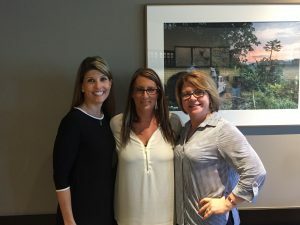 Because of past experiences and lack of knowledge that others had or would give us in order to purchase a house, we didn’t expect to get much accomplished when we first met with Katlyn. However, from the moment we walked in the door she made us feel like we were friends. She was very personable, friendly, and paid close attention to our needs/desires. We filled out a questionnaire on what type of home we were looking for, what we wanted, what we didn’t want, what was important to us, etc. That seemed further along in the process than we had ever been. She got us in contact with a mortgage broker right away and were pre-approved right after we walked in. It was amazing! Then, the home buying journey began. 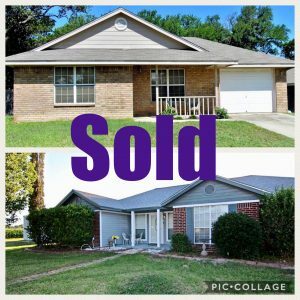 We looked at several houses, put an offer in on a house we were interested in and Katlyn did fantastic on setting up appointments quickly, contacting us as soon as she heard from the agents and she negotiated like a pro. I wouldn’t want anyone else representing me in regards to home buying. Unfortunately, we did not go through with that purchase, but she handled the whole situation very professionally and communicated effectively on our behalf. She quickly got back into looking for houses for us and we continued looking at houses the next business day. 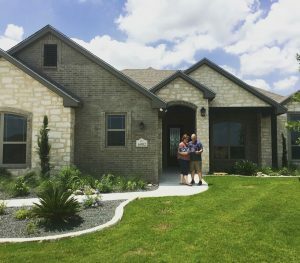 We found the home we wanted, went to the builder, and signed the papers all in the same day. Katlyn was absolutely fantastic. She’s a natural and I would and have recommended her to everyone buying a home!